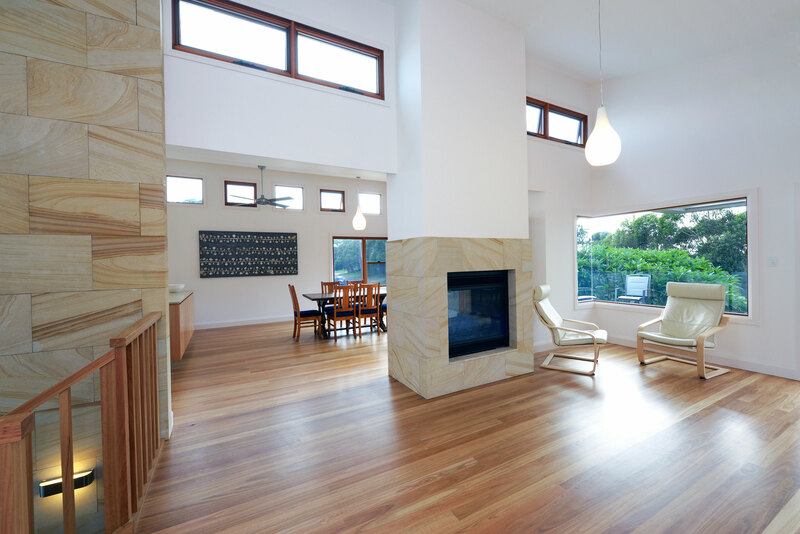 In November of 2011 we were contacted by our clients who were outgrowing their family cottage they had owned on the Central Coast for many years, resulting in the project being a knock down and rebuild. 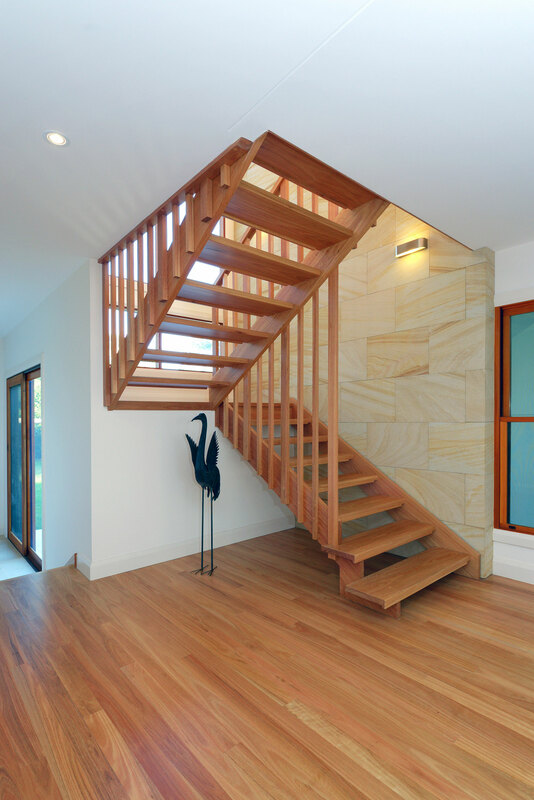 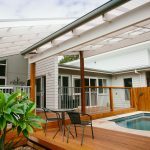 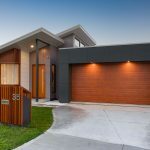 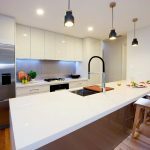 The clients desired a home which would be suitable for their family, both for present and future uses, yet had to be within character of the aging area, comprising mostly of 1950’s weatherboard cottages, with sandstone footings and skillion roofs. 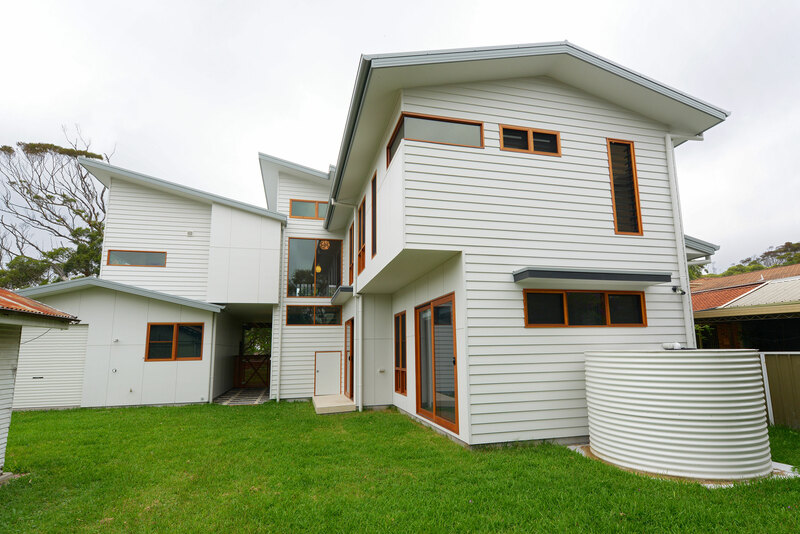 The site has water views to the East, which were achievable by means of a two storey dwelling, whilst also had a leafy outlook to the west, but was restrained by a two storey red brick unit to the North. 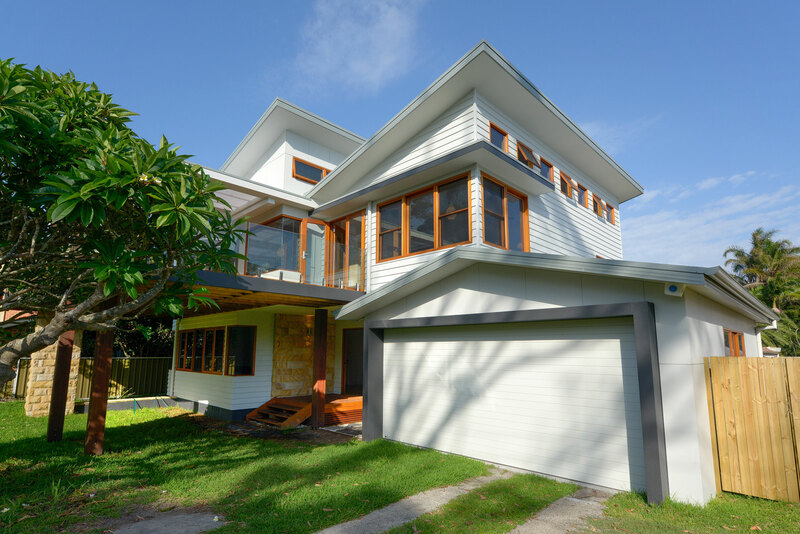 With an existing bus stop to the South of the site and an old Frangipani tree centred to the front boundary to remain, access to the site was to remain to the North. 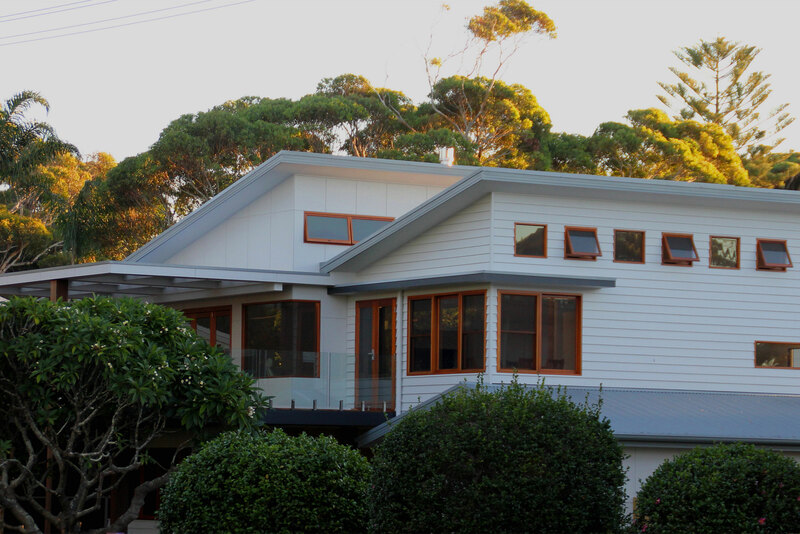 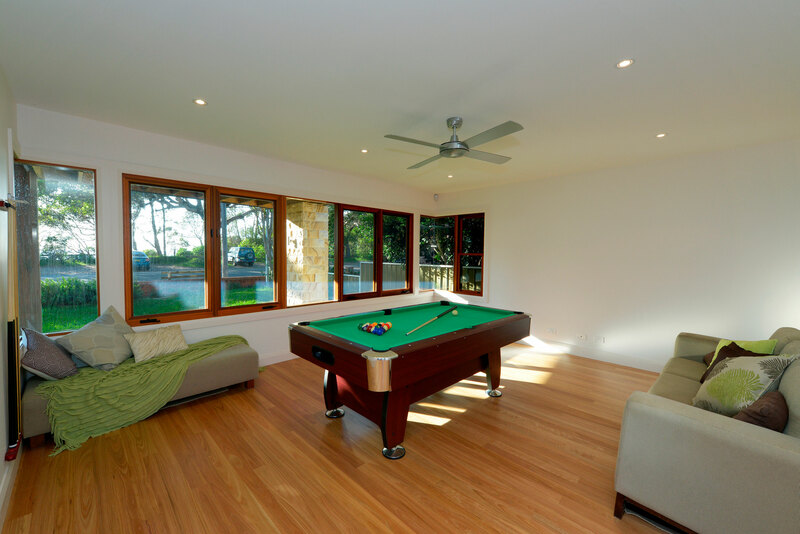 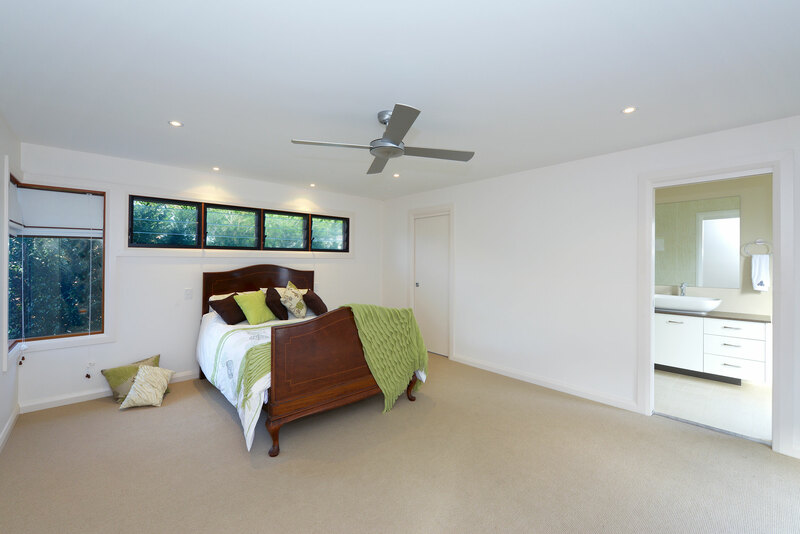 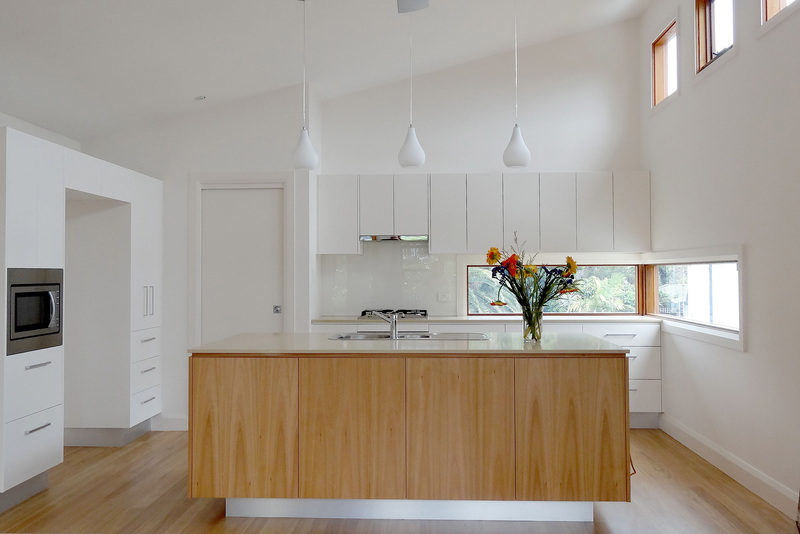 Northern solar gain was achieved by incorporating two skillion roofs with highlight awning windows, whilst also allowing generous ventilation and Northern sunlight deep into the Southern side of the home, but is protected by large eaves from the harsh summer sun. 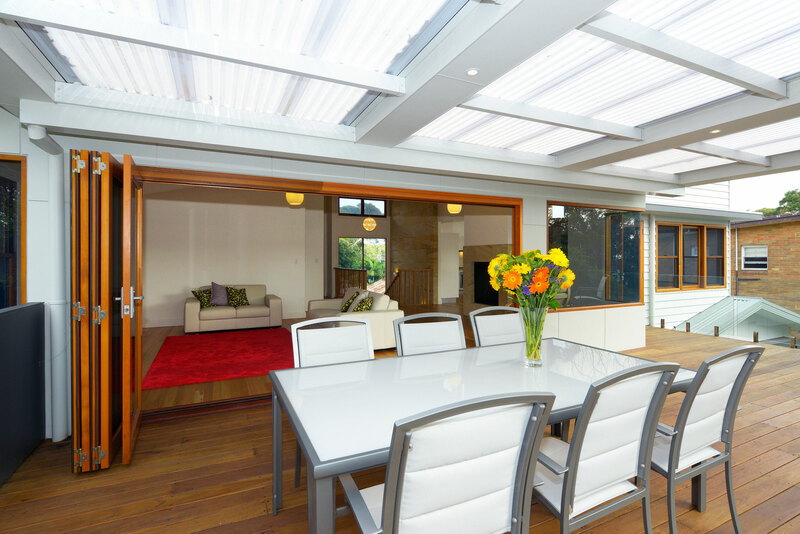 The use of sarking, insulation and a combination of low-E glass to the varying traditional timber windows, has achieved the best ventilation and views for the specific rooms, without jeopardising the thermal integrity of the home or the clients budget. 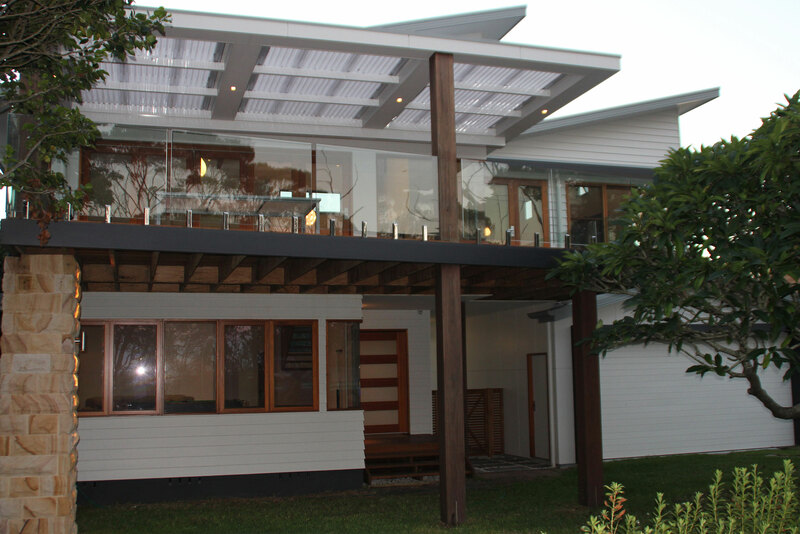 The large Eastern deck aligns with the boundary and is a statement to the facade. 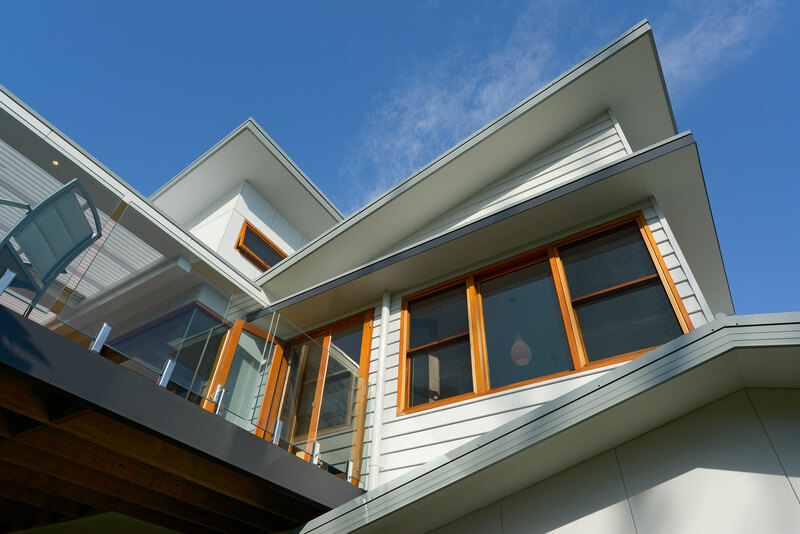 Both a large sandstone column and hardwood post provide strength to the cantilevered deck, yet is softened by the frameless glass handrail. 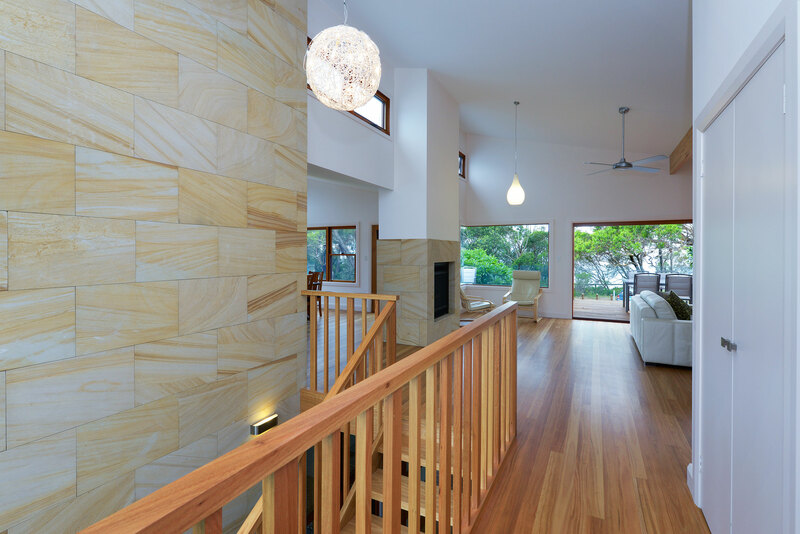 The traditional sandstone is continued throughout the home, with a masonry feature wall to the stairs and a surround to the double sided gas fireplace. 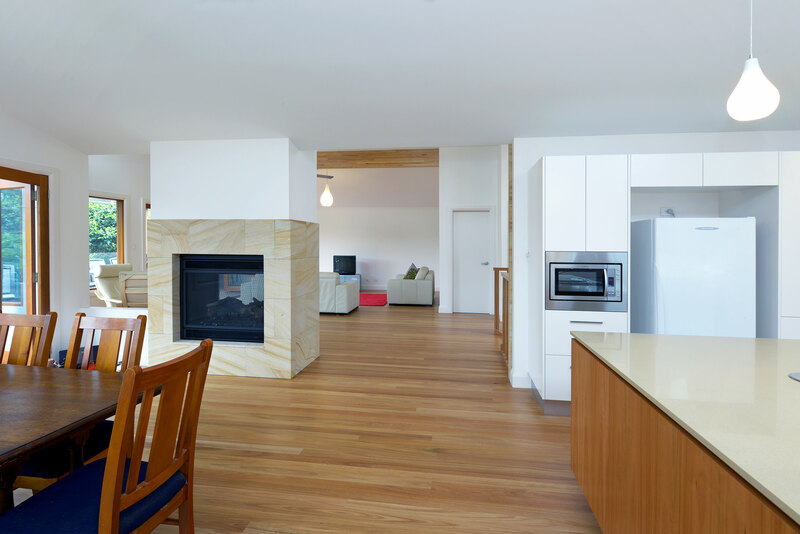 The traditional finishes create a tie to the original character of the area, whilst modern materials complement with a contemporary finish. 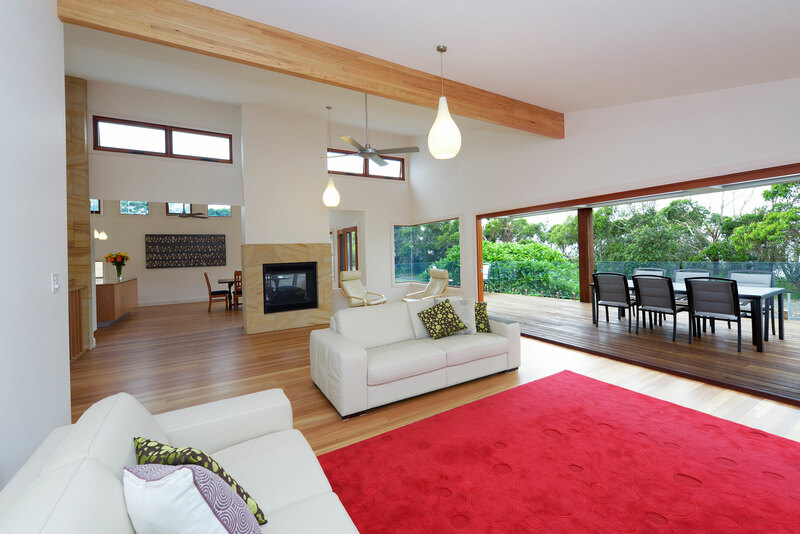 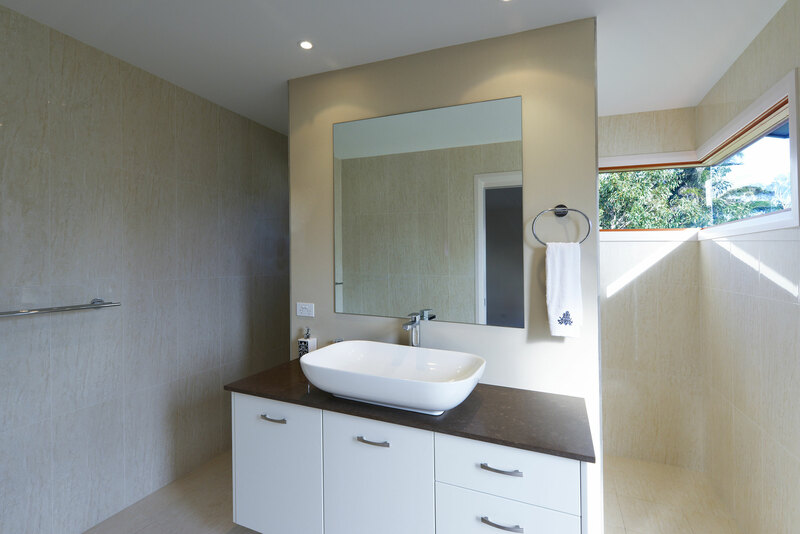 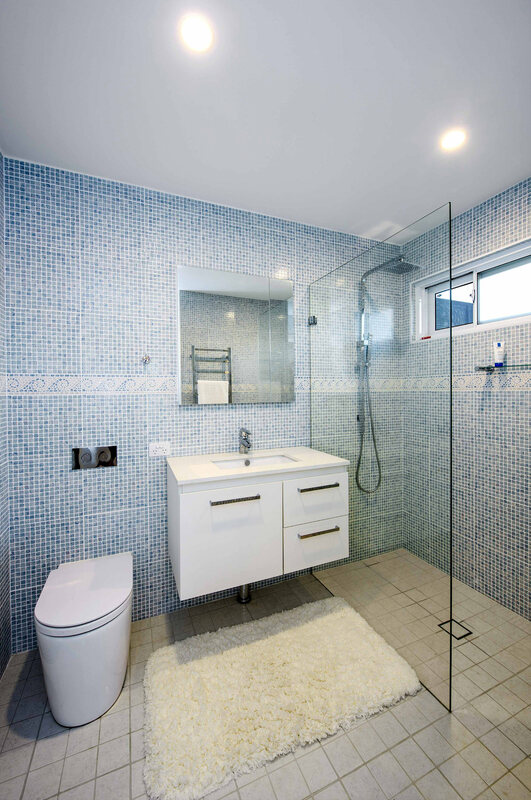 When asked upon completion if the home had met our clients expectations, they replied: “Oh, it is far better”.